Ever heard of SMK-Link Electronics Corporation before? 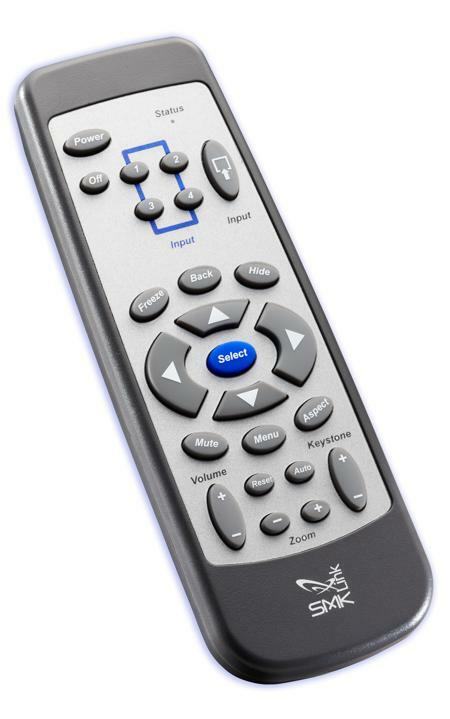 Well, this subsidiary of SMK Electronics so happens to be one of the largest manufacturers of OEM remote controls in the world, and they have something which you might enjoy – especially if you are one who deals with plenty of corporate presentations all the time, coming in the form of the Universal Projector Remote Control. Specially designed to seamlessly replace lost or damaged projector remotes, the Universal Projector Remote Control can be yours for a mere $29.99, but that is not the end of the story, especially since customization options and quantity discounts will also be made available for resellers and original equipment manufacturers should one decide to order in bulk. John Blair, General Manager of Branded Products for SMK-Link, said, “Drawing on SMK Electronics’ vast experience designing and manufacturing original equipment remote controls, SMK-Link has created the world’s first Universal Projector Remote Control. A one-stop replacement solution for lost or damaged projector remotes, the Universal Projector Remote Control allows IT managers to standardize on a single product as a replacement remote for all of their various projector makes and models. The Universal Projector Remote packs an extensive code library that will cater for both new and older model projection systems, where it works even better thanks to its learning capabilities and unconditional 30 day money back guarantee. SMK-Link’s Universal Projector Remote Control will play nice with the entire range of popular projector makes and models, where among them include those from 3M, BenQ, Boxlight, Canon, Casio, Christie, Dell, Dukane, Eiki, Epson, Hitachi, HP, InFocus, JVC, Mitsubishi, NEC, Optoma, Panasonic, Phillips, Pioneer, Polaroid, Polyvision, Samsung, Sanyo, Sharp, Smart, Sony, Toshiba, Vidikron, and Viewsonic among others. It is capable of learning from current remote controls, and boasts of controls for advanced projector functions including “Aspect” and “Keystone”. Since it relies on non-volatile memory storage, you need not fret about it “forgetting” all the commands it carries beforehand.